Top Spinach lasagna with chili made with Gorji Gourmet Arrabiata Diavolo for a lively addition to a classic dish. Use the Arrabiata in place of your tomato sauce and peppers in your chili recipe. Top the lasagna with the chili and finish with a few spoonfuls of goat cheese and some extra spinach leaves. 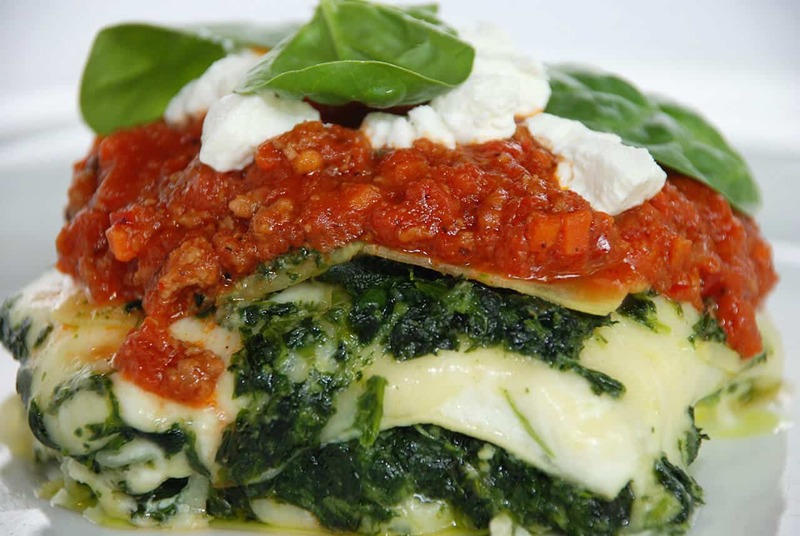 Spinach Lasagna recipe from Chef Gorji’s Cookbook Zing! New Mediterranean Cuisine. No Replies to "Lively Spinach Lasagna with Arrabiata Diavolo"